(VIENNA) – The far-rights in Austria may get strong gains when the nation goes to the polls on Sunday to elect its 17 members of the European Parliament. 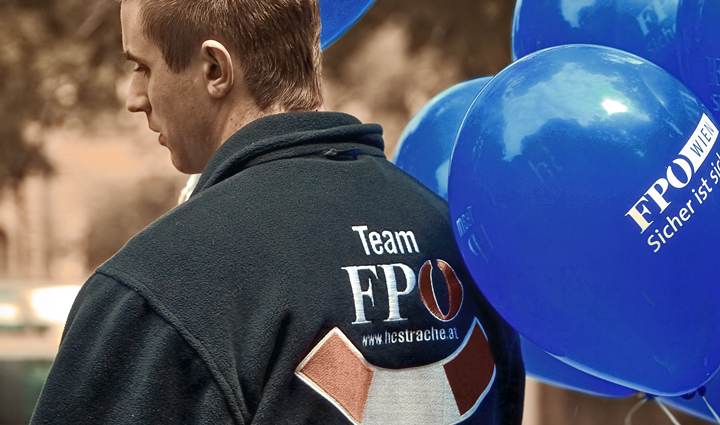 The FPOe – with xenophobic slogans such as “The Western lands are in the hands of Christians” – may effectively divert the electorate attention for its own populist and highly nationalistic agenda. With only a few days to go before the vote, the FPOe and its handsome blue-eyed Aryan leader dentist Heinz Christian Strache, 39, looks probable to win 14-17 percent of the vote, three times more than in 2004. At the same time, the Social Democrats SPOe and the conservative OeVP parties are expected to receive a defeat, after running dull election campaigns. I talked to a few supporters of FPÖ in Graz and Vienna, who declared the main reason of their vote for Strache is deep dissatisfaction with present economic situation in the country, passiveness of SPÖ, overall conservatism of ÖVP, and lack of efficiency of Greens and also decline of KPÖ popularity in Graz. One can see on Internet photos of Graz teenagers tossing their arms in Nazi Salut as their FPÖ blue-eyed idol once did. The overall opposition to present state of things in economics, politics and media supports tentative sympathies of many adult Austrians for nationalists.